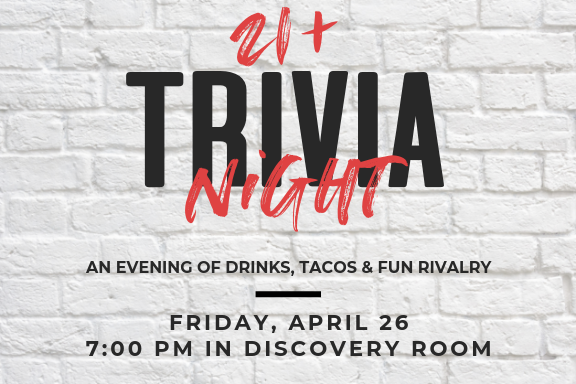 All adults are invited to test their knowledge and work with one another at our first ever Trivia Night! We will split into teams of 6 as a professional trivia host quizzes us on a variety of categories. Each round will be a different topic and at the end of each one, a representative from each team turns in its answers to a the host who calculates the scores for each team. The teams rack up points until one team takes the prize. Whether history, sports, religion, pop culture or facts about Pastor Tom are your forte, this event is for you. A $100 cash prize is awarded to the winning team, so you don’t want to miss out! $10 per person – fresh, hot tacos and snacks are included in event fee. Beer and wine are available for purchase – 2 drink maximum. To RSVP, contact the Church Office at 949.552.1918 or churchoffice@gslcirvine.org.